”Declaration of the King. 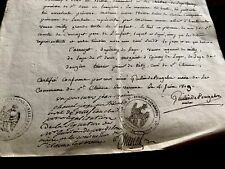 from May 8th 1772. Size: 7.5" x 10". 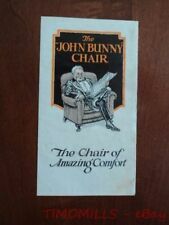 The front cover shows an illustration of the silent film actor John Bunny reclining in the chair and is titledThe JOHN BUNNY CHAIR – The Chair of Amazing Comfort. The center pages have a photographic illustration of the chair and descriptive text. 2 pages manuscript. Size: L12.2” x W8.4”. Ref No 150513 Citizen Clock Parts Catalogue Transistor Clock 80. Size about 20 x 30 cm. Sold as pictured. Photos are of the actual item you will receive. All pages pictured. 24 page booklet is complete with great photographs. Handwritten date on front cover is 12/31/1932. Images are page examples of the actual brochure you will receive. Sold as is. INTERNATIONAL SALES. Photo of the actual item you will receive. Immaculate booklet titled THE SOUTH AUSTRALIAN TREE PLANTER'S ASSOCIATION that fosters tree planting in South Australia. Contains 21 pages with suggestions of what trees to plant in what areas of SA. I tried to show everything in my pictures. Datsun related literature/correspondence included. They provide lots of the info you would need to know to help you decide if one of these vehicles is for you. Pamphlet also explains what the custom designed Bicentennial Star represents. Very good condition. I believe this is from the 70's. Condition: Very good condition but does have holes punched on the side. 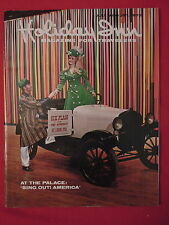 This is a must for your literature collection, especially if you own one of these jukeboxes. ADVENTURE ALONG THE TRANS-CANADA HIGWAY Brochure/Travel Guide Book. 2005 DEALER ONLY "MR & MRS SMITH 3-PANEL ( 17" X 11") VIDEO MOVIE BROCHURE. STARRED ANGELINA JOLIE, BRAD PITT! NICE CONDITION. RARE COLLECTIBLE! INTERESTING CONVERSATION PIECE. A really nice collectible item! 2 Vintage 1950s PARROT & MONKEY JUNGLE Brochures, Miami, FL, Tourist Traps! Brochures are really colorful and in good condition with light traces of scotch tape residue on edges (these are from a 1950-1960's Travel Souvenir scrapbook!). The multi-fold brochure is in very good condition and is estimated to date from the 1940's/1950's. See pho tos. The covers show light wear. The insides are beautiful and complete. A wonderful addition to your collection. Don't wait to ask either. Don't miss out! Sold as found. I will get back to you as soon as I can, and will try to answer as best I can. Get images that. make Supersized seem small. PACEMAKER SF36 Yacht Boat Dealer Sales Brochure Catalog 1970's 1977 ? They provide lots of the info you would need to know to help you decide if one of these boats is for you. Many contain LOTS of really neat color pictures and are very well done. This is a must for your literature collection, especially if you own one of these boats. Brochure is undated but probably from the 50's or early 60's (just a guess). They provide lots of the info you would need to know to help you decide if one of these boats is for you. Many contain LOTS of really neat color pictures and are very well done. I will get back to you as soon as I can, and will try to answer as best I can. Get Supersized Images & Free Image Hosting. Enjoy Seeing the Flying Fish in Catalina Brochure. From a family trip in summer 1966. Published in the interest of visitors to Santa Catalina Island by the Catalina Operations Company, Avalon, CA. In great condition. 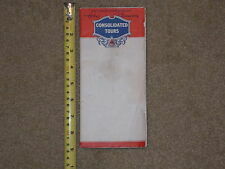 Brochure measures 7” x 4”. Please ask any questions and look at photos closely before purchase. 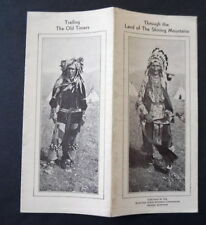 The multi-fold brochure is in very good condition and is estimated to date from the late 1930's/early 1940's. See photos.